Driven by passion and purpose, and a willingness to push her limits as an artist, Sarah continues to grow and develop her career. In January 2010, Brightman was appointed Panasonic’s global Brand Ambassador. Together they launched the song “Shall Be Done” at Panasonic’s Olympic Pavilion at Live City Yaletown, the official celebration site of the 2010 Winter Games held in Vancouver, Canada. The lyrics of the song express Panasonic’s vision for the next generation as well as Brightman’s vision, infusing the spirit of ‘ideas for life’ of contribution for a sustainable society. The song has been used in a wide range of global promotional activities including stores, advertising, exhibitions and other events. On February 8, 2012 Brightman accepted the UNESCO nomination to be an “Artist for Peace” Ambassador, for her “commitment to humanitarian and charitable causes, her contribution, throughout her artistic career, to the promotion of cultural dialogue and the exchanges among cultures, and her dedication to the ideals and aims of the Organization.” She also actively engaged in Panasonic’s UNESCO World Heritage Centre endeavors, and stared in their The World Heritage Special campaign. 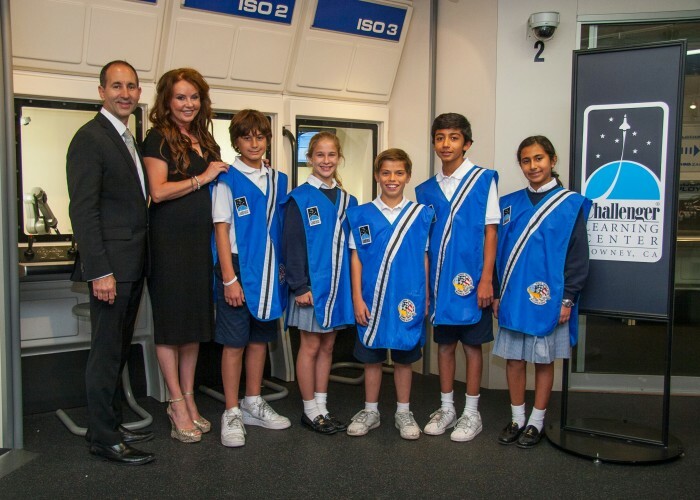 In June 2012, Sarah together with Virgin Galactic and Virgin’s not-for-profit Virgin Unite, announced the Galactic Unite STEM Scholarship Program, a global initiative designed to inspire and support students who seek answers to global challenges through science, technology, engineering, mathematics (STEM) education and business entrepreneurship. The Brightman STEM Scholarships will help young women in the US pursue STEM education across their four-year college career, providing a much-needed boost to the current impact of females in this area. In Nov 2013, it was announced that Sarah would take part in the Advisory Council for the Challenger Center, the non-profit science, technology, engineering and math (STEM) education organization. Sarah will be joined on the council by other distinguished individuals including President George H.W. Bush, Mr Norman Augustine, Senator John and Mrs Annie Glenn, all of whom will be lending their diverse talents and support of STEM education to help expand the organization’s reach with today’s youth. In July 2015, the inaugural Andrew Lloyd Webber Foundation Sarah Brightman Music Scholarships were also awarded to their first recipients. The scholarships will support students in their postgraduate studies at the Royal Northern College of Music on the two-year Masters of Music Programme.